First and foremost please note that this article is only meant for those who know how to root phones and are familiar with rooting process, ClockworkMod and TWRP. If you are not familiar with the process, do not attempt it, it will void your warranty and sometimes brick your phone. XDA Forums Member DsLNeXuS has published a App on Google Play which is one stop shop for hassle free pre defined loading of custom-recovery system for your Android device and installing them automatically. 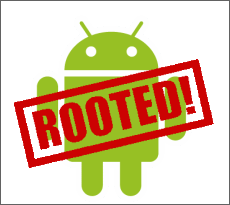 As already said above it requires a rooted phone. As per the XDA Forum thread, Recovery Tools finds your custom recovery of choice for your rooted device and flashes it. Supporting an array of devices from a range of manufacturers, Recovery Tools allows you to skip the usual process of installing a custom recovery by doing it all for you in a fraction of the usual required time. It should be noted that not every device supported by Recovery Tools will have a choice between TWRP and ClockworkMod, as many of these devices only have one or the other developed. However, if you have another custom recovery that you would like to flash, there’s an additional option allowing you to select another recovery to install from your internal or external memory. DsLNeXuS also made Recovery Tools open source, with its source code found on Github for anyone who’s interested in tweaking and playing with the App. You can raise any query related to the App by clicking on the publishers hyperlink above or visiting this thread. Download the Recovery Tools App from Google Play here.